A couple months ago I was in a season of pure, unrelenting hustle. 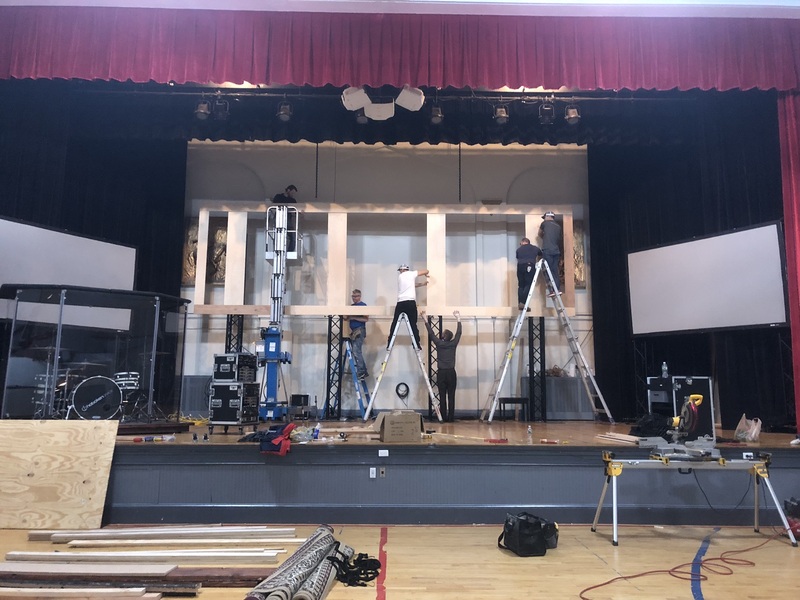 We were a few weeks out from Easter and we were in the middle of a massive undertaking – a brand-new set for the stage. After a few set-backs (pun intended), we were finally moving along, working to reach our goal of unveiling it by the Good Friday services. Every night during the weeks leading up to Easter, I’d head to 301 Garden to work on it with a small group of committed team members. Some nights we were gluing bricks, some nights painting, drilling, assembling massive structural pieces, staining wood – there was no shortage of random tasks we were chipping away at. Was this worth it? 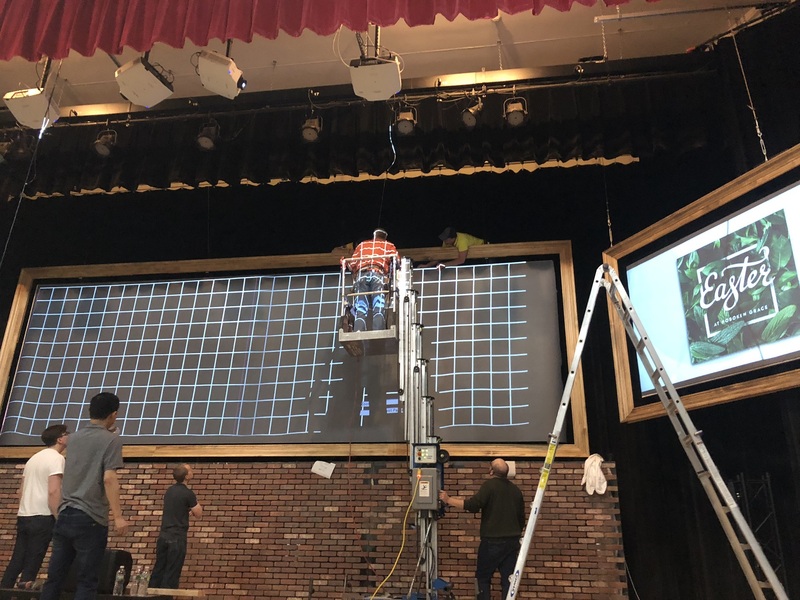 It’s an understandable question when you see someone working so hard – is it worth less sleep just to get a projector working right? Are you sure it matters that much? Isn’t this a little crazy? The thing was, it WAS a little crazy. But for good reason. As a church, everything we do reflects how we feel and think about God. 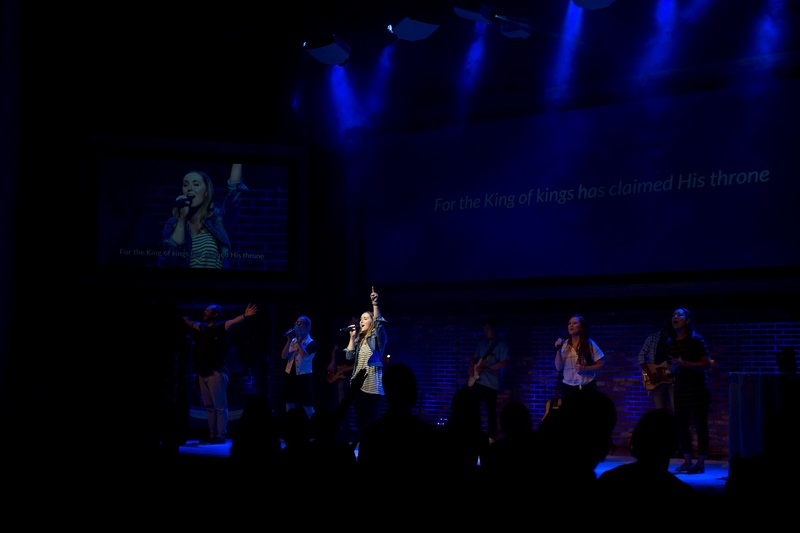 With the set, we wanted to go big with what we put on the stage, showing people how important God is to us. Furthermore, we wanted to get the details right. We wanted the exposed brick to remind people of being at home in Hoboken – it’s something that’s so representative of our homes here. We wanted there to be a warm, wood element that was inviting. And the screens – we wanted to draw people into a space where they could be free of distraction and open to what God would say to them throughout a service. Getting all those details and more right was the kind of attention to detail God deserves us to give to His mission. I was straight-up hustling. I was giving everything I had to see this through. Following God doesn’t always make sense and it certainly can bring you to places you would have never come up with on your own (like building a picture frame the size of my apartment). But if there’s one thing I’ve learned it’s this: At the end of the day I might be physically exhausted, and the next steps might still be running through my head, but I’ll know that I gave everything I had that day for Christ and for people to know Him. What could be more fulfilling than that? In order for all those things to happen with the set, we had to push hard to get it done. But in the back of my mind, even though I was pointing a remote at a projector trying to get it to do what I wanted at 1 in the morning, I was also thinking about the person who’s coming to church for the first time in a long time, or maybe ever. By paying this much attention to detail, we’re helping communicate how great our God is and just how much He loves people. 1). Do it in COMMUNITY. There’s no way I would have actually been able to keep a healthy tab on my hustle if I didn’t have people reminding me to rest up, eat healthy and spend time with God. I had a community of friends, teammates and mentors who each spoke loving truth to me in so many ways during that season. I wasn’t always successful at doing that on my own, but them pulling me back lovingly was a huge factor in my ability to continue to hustle. 2). Remember the WHY. Part of that truth my community was speaking to me was reminding me why we were doing this. Remembering the truth of what God has done for us by going to the cross, which allows us to come to Him and worship Him in so many ways. The WHY of my hustle was never far away, and it was important to keep that in my own face, so to speak. 3). Pay attention to the WHEN. Before we began the more rigorous part of our set building schedule, there was a lot of hurry up and wait. Waiting on details to be worked out, waiting for test builds to see if things worked, waiting for all sorts of things. In a lot of ways, that time was more difficult than the actual building. We wanted to get going, but knew it wasn’t time. There was even a hot second where we honestly asked God if we should wait another year to make this happen. But we prayed through it, and when the time came we jumped in with Him, ready to sweat and get ‘er done. Hustle doesn’t have to be a bad thing and it doesn’t have to be an over-glorified thing either. How is God calling you to approach it in your life? Maybe he’s calling you to shift where your hustle is, maybe he’s calling you to get off your bum! Whatever it is for you, remember to do it WITH Him. Dana is the Arts Director at Hoboken Grace.